Headquartered in Taipei, Taiwan, Mean Well is a manufacturer of switching AC/DC power supplies, DC/DC converters, DC/AC inverters and LED drivers. Mean Well has been manufacturing power solutions since 1982. Mean Well is a one stop manufacturer of standard switching power supplies. An unsurpassed selection of power supplies: single output, multiple output, enclosed, open frame, modular, external power supplies, 19" rack mountable, LED drivers, LED power supplies, medical power supplies, battery chargers, and much more. 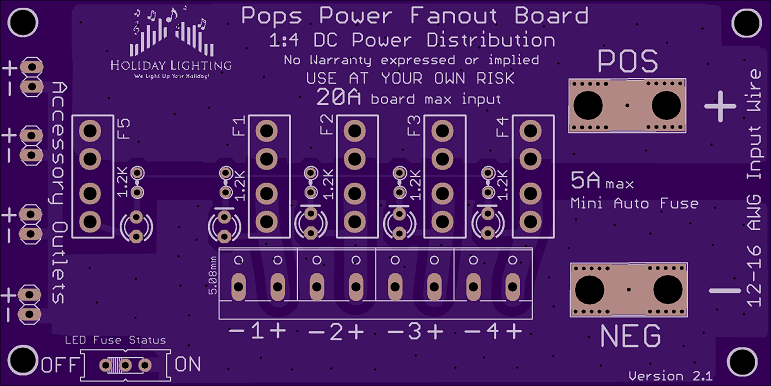 The Power Pops Fanout Board is a simple DC power splitter. This board is designed to take one input DC power feed and split it into 4 Main outputs & 4 accessory (low amperage) outlets. Each Main output on the board has its own mini-automobile style fuse that is rated up to 5 amps. The four accessory outlets share one mini-automobile style fuse. 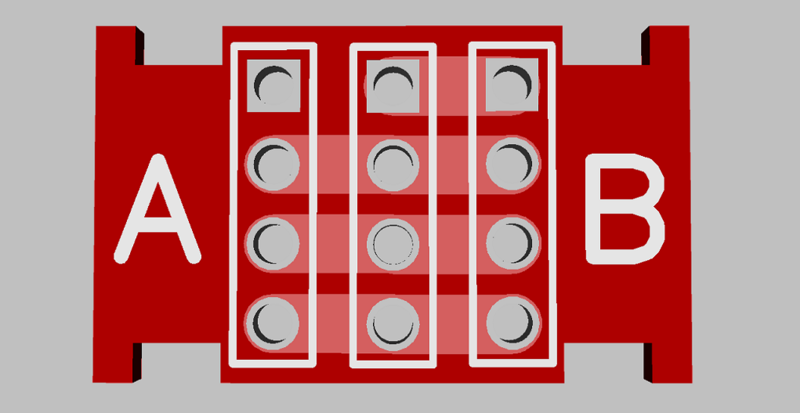 Each fuse has a LED status indicator to show if power is flowing through that fuse; therefore showing that power is present and that the fuse is good. Additional information available on this Wiki Page. Pixel Splice/Tap (PST) makes the job of pixel repair or prop assembly much easier. 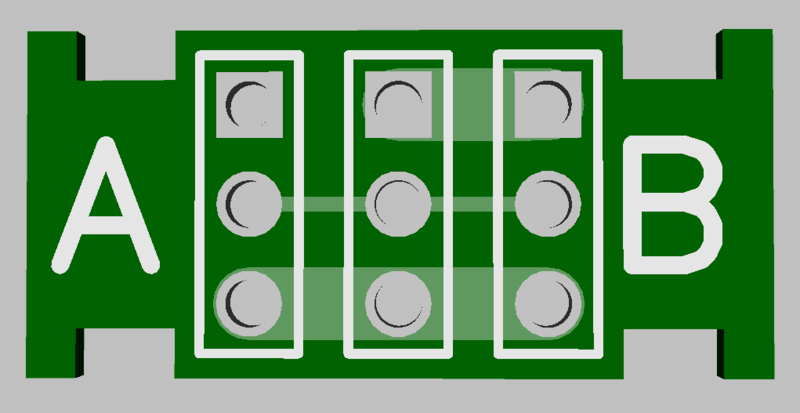 It's a small PCB used to splice pixel strings. It also can serve as a power injection tap. There are two versions. A 3 wire Smart RGB pixel version which has 3 sets of 3 holes and a 4 wire Smart RGB with clock/Dumb pixel version which has 4 sets of 3 holes. The Ground, Data and Clock holes for all three/four sets are bussed together. The power line is bussed only from the middle to the B position. When using as a splice, solder your pixel wires to the middle and B set. When using as an injection tap, solder the dead end of the string to the A side, solder the incoming power and ground to the middle set, and the beginning of the next string to the B side. Both versions have notches near the ends to grab wire ties for strain relief. Go BIG on your Christmas display. What's so special about them? They are Really Big. Each light is 14.5" tall and 6.55" wide. They are 1950's style candelabra Christmas lights on steroids. They come with hanging hooks and are cinch to hang. When you order using our discount code HOLIDAYLIGHTING you will save 15% off your order. 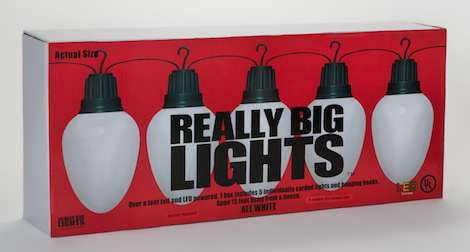 If your wanting to put Smart RGB LED lights in them make sure you order all white to get the best effect. The internal LED and wiring is easy to remove.